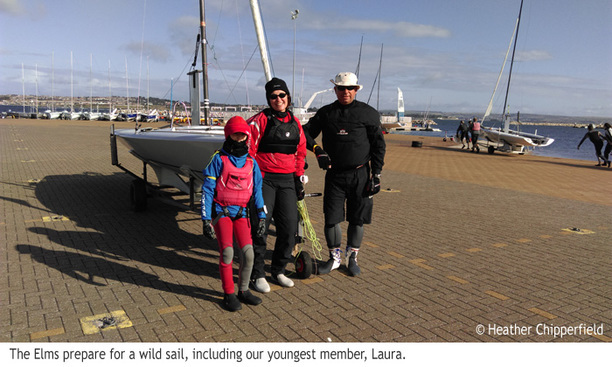 Weymouth harbour greeted the K6 fleet for their championship on the Friday with a full 40 knots blowing over the wall. After a couple of hours wait and even with a slight reduction in the wind strength it was decided to postpone and make an early start the following day. So it was all off to the Red Lion in Weymouth and then a fabulous Italian meal at Oil Porto in the old brewery building. We’ll draw a veil over those who then hit the nightclub. 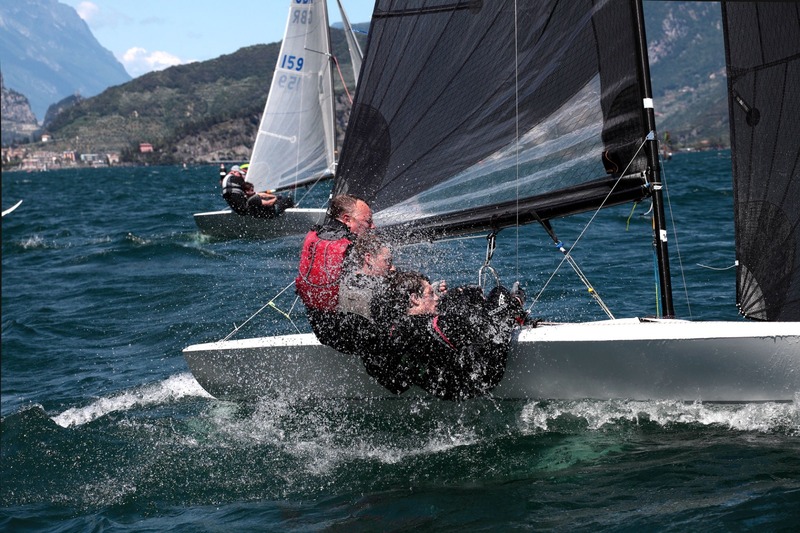 Saturday dawned with a stiff breeze but good enough to get some good and what turned out to be spectacular racing. With a few new faces in the fleet no one quite knew how the order would turn out, however it was three past champions who were soon seen at the front of the fleet battling it out. quickly meant a loss of places. 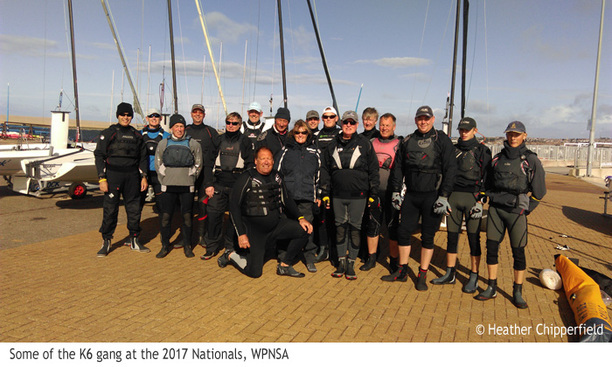 Mistakes were aplenty with Lawrence and Luka missing the finishing mark, Dave Hall’s team broaching just before the finish line and Neil Fulcher’s team twisting and dragging their spinnaker just to mention a few. 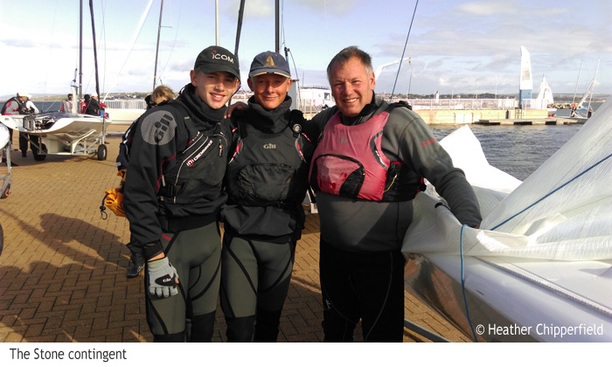 At the end of the day a tired but happy fleet returned with Dave, Paul & Ellie tying for first with Lawrence and Luka. Saturday evening was spent at the ‘Boat that Rocks’ with the fleet enjoying fish and chips and a good chat. The forecast for Sunday was looking bleak with an increasing wind through the morning, an early start was planned with the intention of getting a race or two in before the strong wind kicked in. 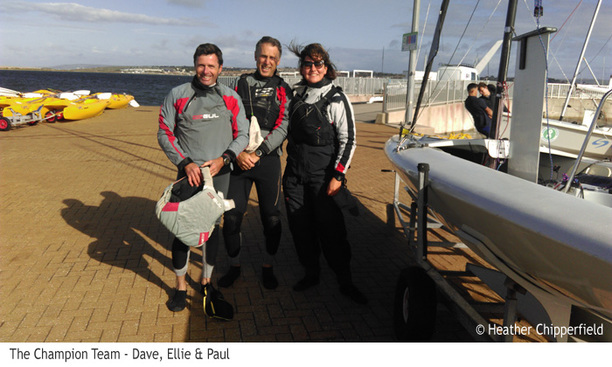 With the wind building even before the new start time it was decided that there would be no sailing leaving Dave, Paul & Ellie as winners on countback.